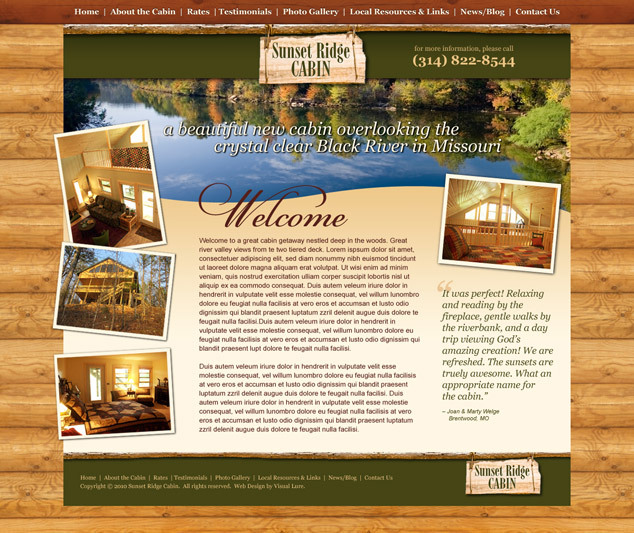 Visual Lure was recently contracted to design a website for a rental cabin that sits just off the bluffs of the Black River in Missouri, a couple hours south of St. Louis. Here is a little peek at the proposed homepage design. We will post a link once the website goes live.